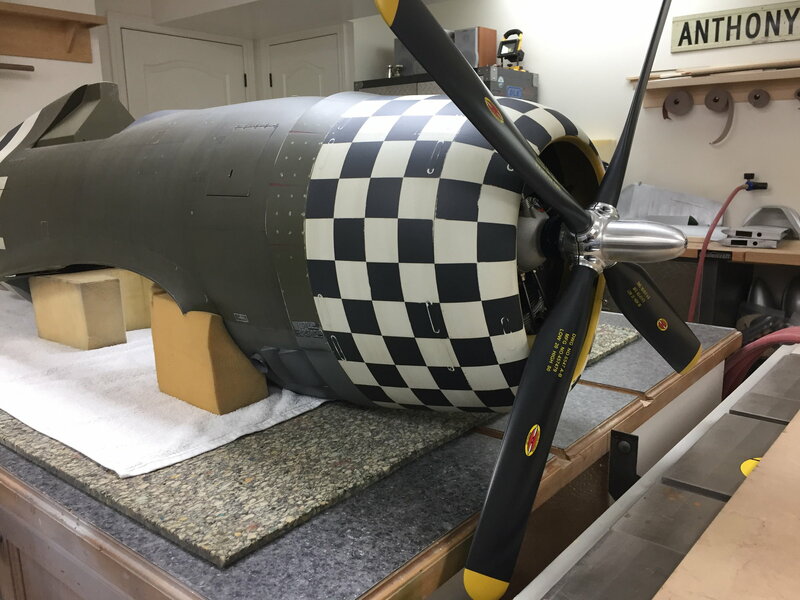 Originally Posted by Craig B.
looking dor suggestions on where to get a good scale pilot for my P47. Peter, your looks great. Where did you get it from? 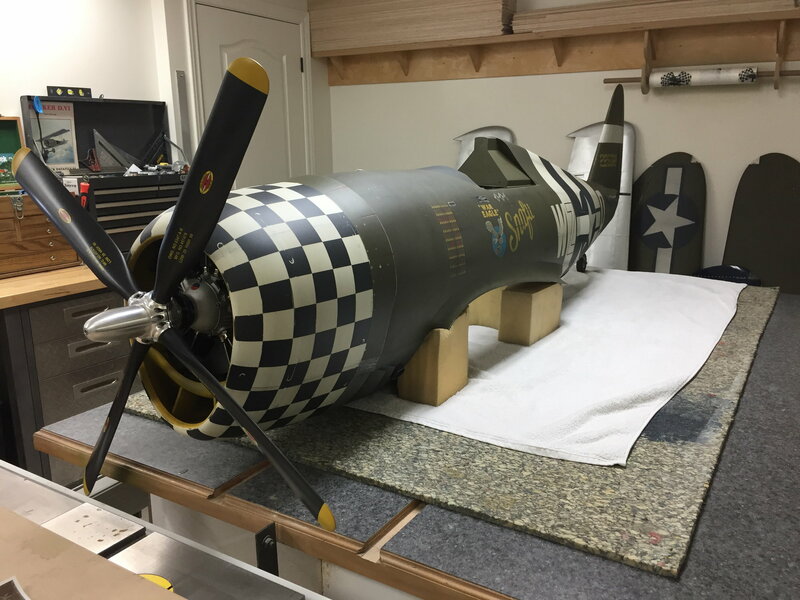 Contact Adam at Warbirdpilots.com-they are fairly light and nicely detailed for the price. what clear coat product are you usin? It looks like a great finish. Klass Kote clear with flattening agent and lots of reducer. Thanks Peter, very nice work. I am fitting mine out atm. The flap mechanism on one wing is very sloppy before it has even flown. Anyone else encounter this? Send a private message to Craig B. Find More Posts by Craig B.
I have 2 of them, and they are both sloppy. And they get more so after they get some flights on them. Doesn't seem to be a problem so far, but seems odd to me given the cost of the kit. I think CARF could do better. Hey Mike, it seems to me that the holes in the hinge plates are too big. Will try my fix to sort that and see how much difference it makes. Annoying that we have to do this. My stabs were badly misaligned too.... I sorted that out easily enough but you would think it would be easy enough to hug that up correctly. Which Prop is this? The hub and blades are practically perfect!!!! Craig - The wash is considered a "Magic Secret Potion" by some painters. I have tried umpteen different cocktails but for me Tamiya acrylics with 50 % water and 10% dish soap ( soap breaks the surface tension) works very well. The dirtier I want the plane to be, the more flat the clear coat is under the wash (the wash grabs more to a flatter surface). the Curtiss Electric “hub” looks a lot better than the Ham Standard. Props to you on a fantastic Jug! Good luck with it!